Yeah, yeah, yeah. Thanksgiving Hiatus. Schmanksgiving Schmiatus. Sid came back and dear Lord, what in the hell was that? If you don’t get that reference you need to leave immediately. I can’t even look at you. I needn’t have worried. He scored on his first shot. I replayed it at least 20 times, but you can never get back that elation of seeing it for the first time live. He did skate with fire. He wasn’t scared. He wasn’t shy. He wasn’t slow. He was who he was and continues to be. P.S. Go read what my colleague at Pittsburgh Magazine Sean Conboy wrote about Sidney Crosby. Trust me. It’s a must read. It was a Great Day for Hockey, and for Pittsburgh. The Kid’s still a beast. I believe I was the first to note that Ginny couldn’t stay on hiatus when Sid came back. Just sayin’. It was great to see – so happy for Sid that he is back & only hope he stays healthy. What a scary time it must have been for he & his family. Has to be the longest time Sid hasn’t played hockey since he started when he was 2 yrs old. He has fresh legs & more energy than any player in NHL – combine that with the most talent — should make for a great rest of the season. Ice Castles? Are you kidding? How do YOU know that reference? Never been so excited about a November game before. 12 hours later I’m still facking pumped. Wooooo! What a beast. So happy for him, the city, and of course, myself. “He did skate with fire. He wasn’t scared. He wasn’t shy. He wasn’t slow. He was who he was and continues to be. Yes, amen sister. Put this morning a similar posting on my blog also including the link to Sean’s fantastic article and a youtube video of all 5 goals to watch all over again. But you are right – nothing ever beats the first time watching live. I did not even realize that moment (and I know it is kinda pathetic), but when Sid got the puck and started flying towards the goal completely ignoring the existence of any defense guys, tears started running down my face and my scream when he scored woke up the whole house (2 am in my timezone – you are welcome). 5 minutes. It took him 5 minutes and one shot. I still have trouble to take this for real. And his play was not only perfect, successful, fast or whatever words you can find – it was simply BEAUTIFUL. Almost as beautiful as seeing the happiness and relieve in his face. Welcome back Sid – we love you. Seriously. 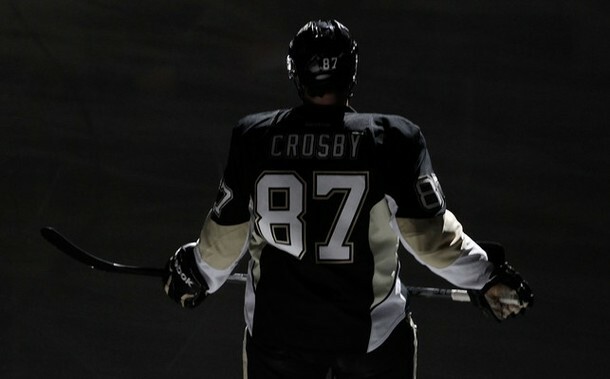 Life is Good…..Sidney Crosby is Better. Ice Castles! I’m busting out the VCR this weekend.